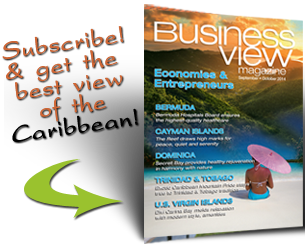 And, while we’re still being “humble” here (I may have, somewhere along the way, forgotten the definition of the word), we accept the gratitude of those companies that we’ve featured throughout the pages of Business View Caribbean, and on our website. We are extremely pleased with our overall effectiveness in being able to bring awareness and targeted attention to companies that have passed our vetting process to warrant features in our magazine. The reason we spend so much time vetting the right companies to feature, is because we understand the trust that our readership has placed in us to insure that their time is well-spent reading about a company that may have some vital wisdom and business practices that could be recycled and used in their own businesses. This is also the reason that in order to even be seen or included between our pages, you must undergo this rigorous vetting process, or be invited by a company that has passed this process and has been chosen to be featured. It’s for this reason, we’re exclusive. It’s for this reason, we’re exquisite. It’s for this reason, we’re happy to be your favorite magazine!